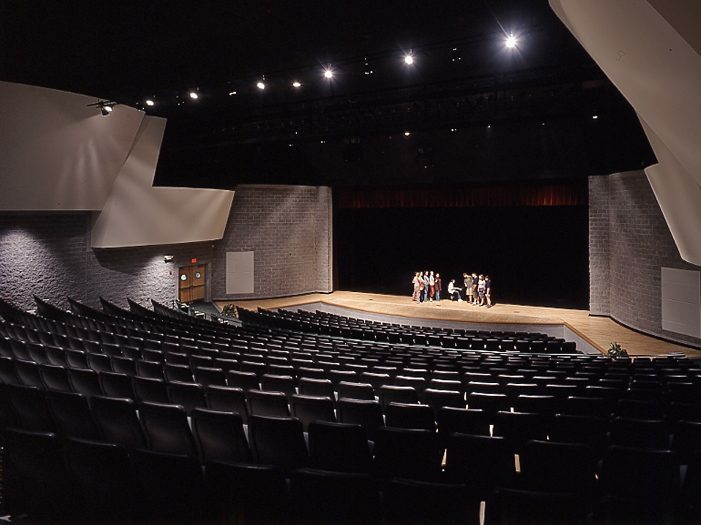 This 800-seat regional performing arts center is 27,000 SF and is designed to function as part of the high school complex or independently for civic use. Visually, its horizontal brick banding and large expanses of lobby glass showcase the special theatrical nature of the interior. 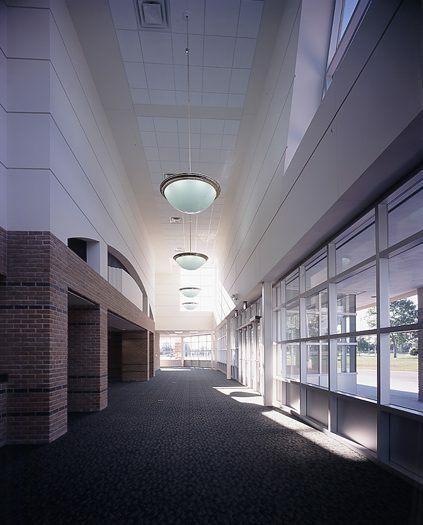 A long, curving front canopy greets visitors and provides an extended gathering area for large group events as it visually ties the existing building complex to the new Arts Center. The 25’ high glassed-in theatre lobby leads directly to a lower inner lobby, ensuring excellent internal sound separation and control. 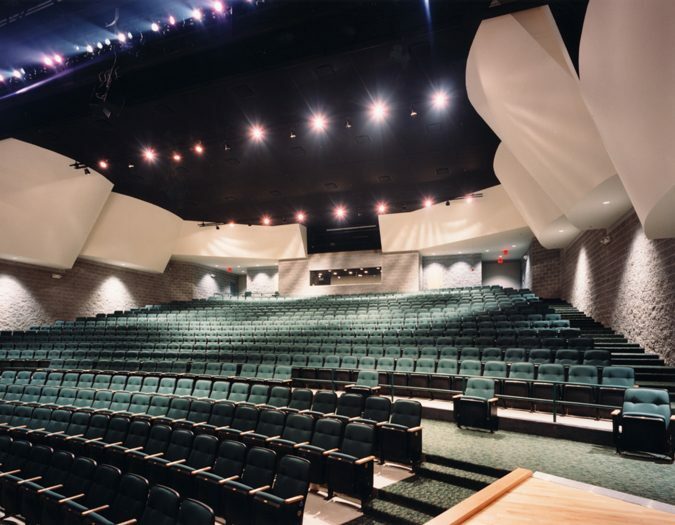 The performance space is designed around a radial continental seating arrangement which allows ease of movement and generous leg room for patrons. A complete proscenium stage and orchestra pit are provided along with a full fly loft and extensive stage rigging and lighting systems. 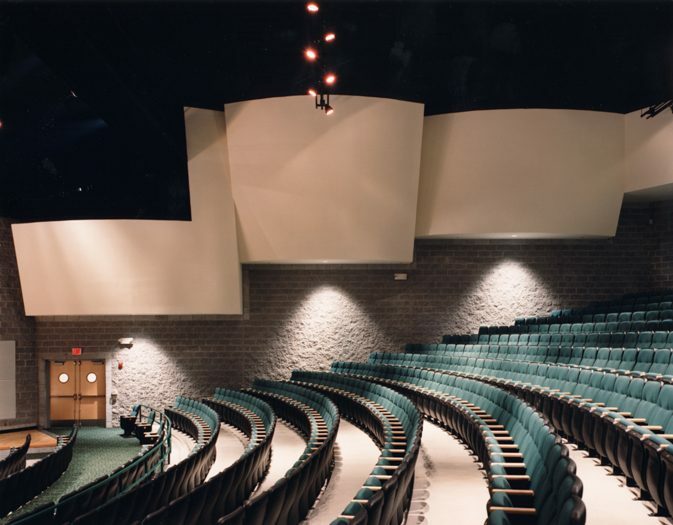 A curved acoustical wall and ceiling system maximize sound richness and quality. 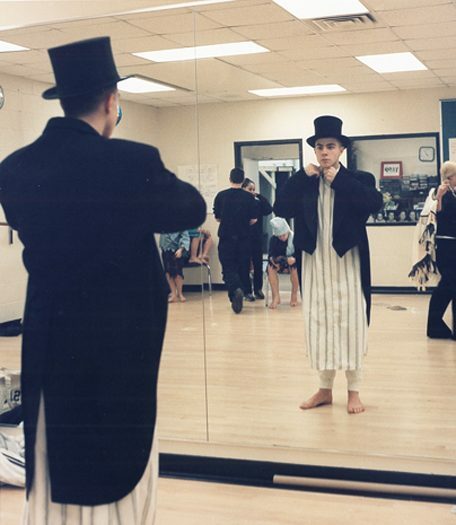 A full complement of support functions include scene shop, costume design and green room facilities. 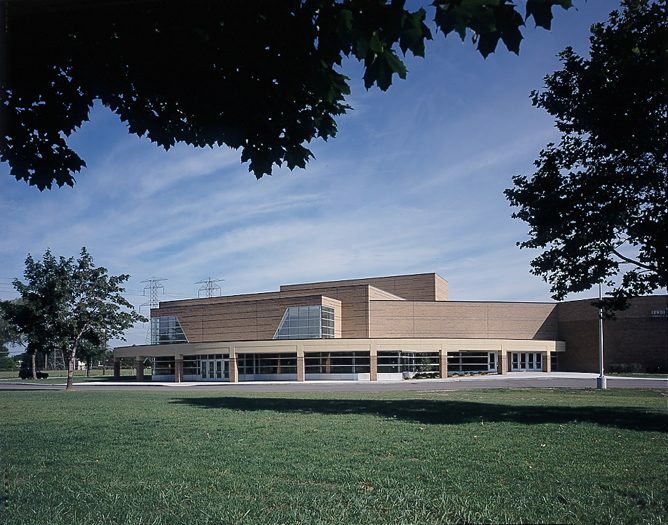 This Arts Center can function as part of the high school or independently for civic use.